Not only in India, Dhadak is doing rather well in overseas markets as well, including in Pakistan. Newcomers Janhvi Kapoor and Ishaan Khatter's movie, Dhadak, has opened to a strong weekend. An adaptation of Nagraj Manjule's hit Marathi movie, Sairat, Dhadak is directed by Shashank Khaitan, who has movies like Badrinath ki Dulhania and Humpty Sharma ki Dulhania to his name. 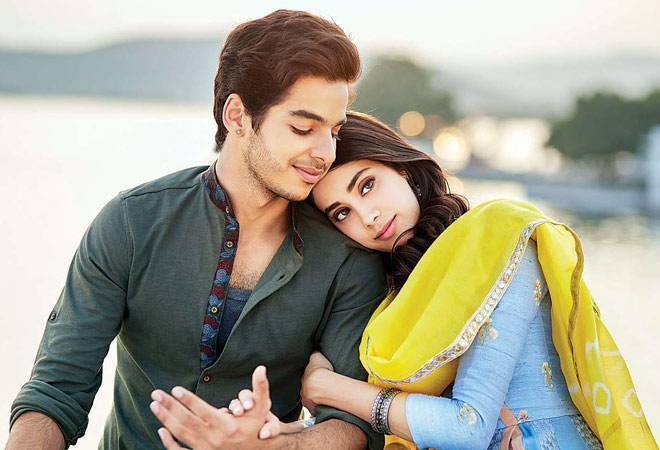 In its opening day, Dhadak earned more than trade analysts expected. Produced by Karan Johar, Dhadak made more than his last film featuring newcomers, Student of the Year, earned in its opening day. With Rs 8.71 crore on its first day, and Rs 11.04 crore on Saturday, Dhadak already made the amount projected for the entire opening weekend in two days. As mentioned by Taran Adarsh, Dhadak collected Rs 13.92 crore on Sunday, taking the opening weekend collection to Rs 33.67 crore. And the BO numbers do the talking... #Dhadak packs an IMPRESSIVE TOTAL in its opening weekend... A consistent run on weekdays will help put up a STRONG Week 1 total... Fri 8.71 cr, Sat 11.04 cr, Sun 13.92 cr. Total: â‚¹ 33.67 cr. India biz. Not only in India, Dhadak is doing rather well in overseas markets as well, including in Pakistan. Till Saturday Dhadak had made Rs 5.90 crore overseas. Dhadak has, however, garnered mostly negative reviews from critics. The movie's light treatment do not hold much ground in front of Sairat's raw depiction of the caste divide. In fact, the conspicuous absence of caste politics in Dhadak, apart from a fleeting dialogue, has been seen by most as the makers' dismissal of the most important aspect of the movie. Janhvi Kapoor's performance also has been criticised, with critics being equally divided about Khatter's portrayal. Samrudhi Ghosh, reviewing Dhadak for India Today called the movie a "pale, insipid version of Sairat" and gave it 2 stars. Ghosh writes that while Kapoor tries too hard to impress, Khatter manages to distract the viewers from the many flaws of Dhadak. Dhadak that also features Ashutosh Rana, revolves around two star-crossed lovers belonging to different castes and how their tragic story unfolds.